A penniless young knight with few prospects, William Marshal blazes into history on the strength of his sword and the depth of his honor. Marshal's integrity sets him apart in the turbulent court of Henry II and Eleanor of Aquitaine, bringing fame and the promise of a wealthy heiress as well as enemies eager to plot his downfall. 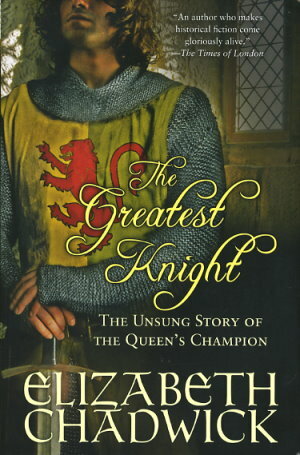 Elizabeth Chadwick has crafted a spellbinding tale about a forgotten hero, an ancestor of George Washington, an architect of the Magna Carta, and a legend of chivalry -- the greatest knight of the Middle Ages.